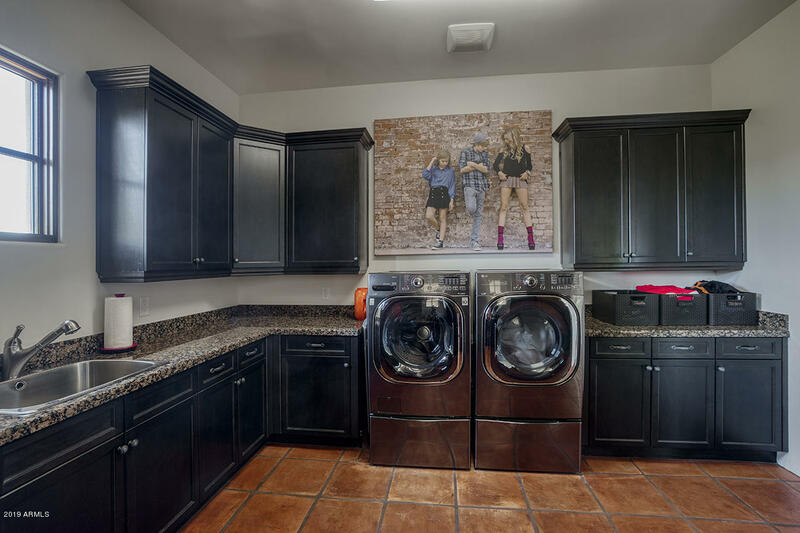 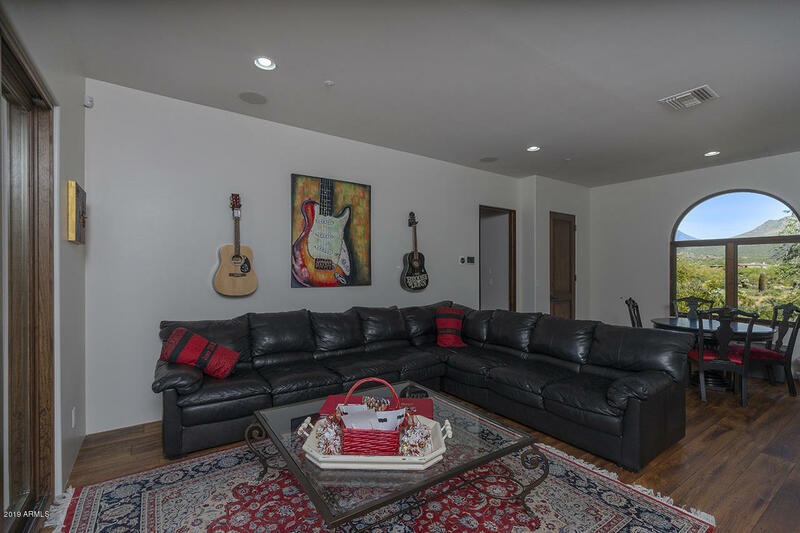 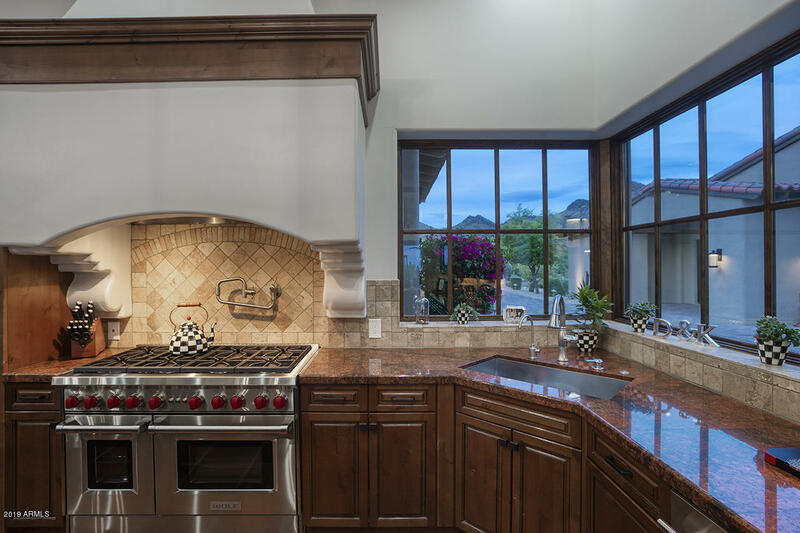 with Sub-Zero and Wolf appliances, elegant custom cabinetry, 8 burner gas cooktop, 2 dishwashers, and ice machine. 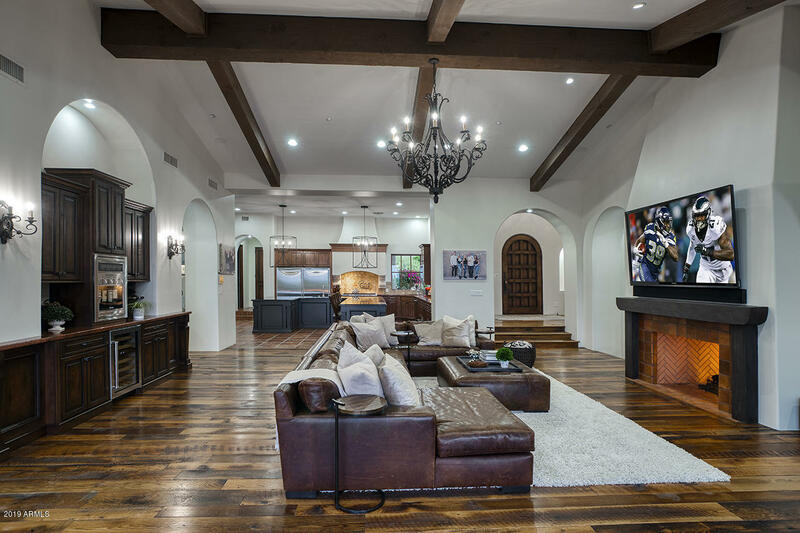 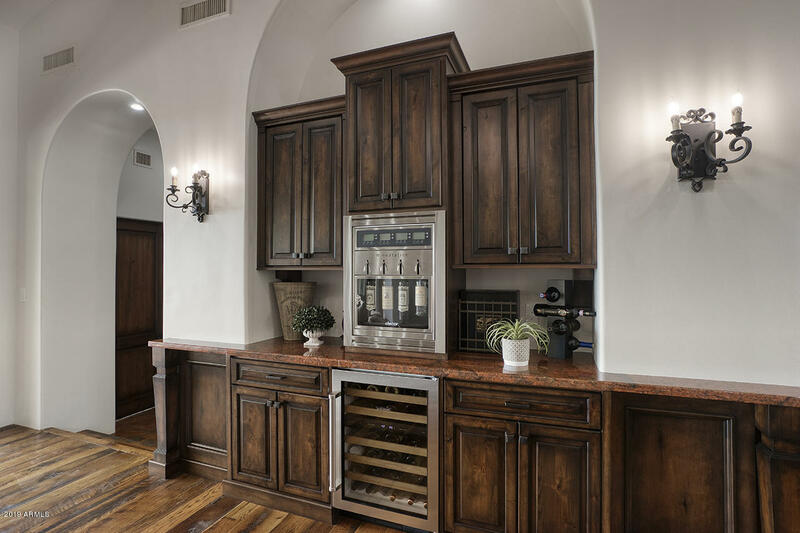 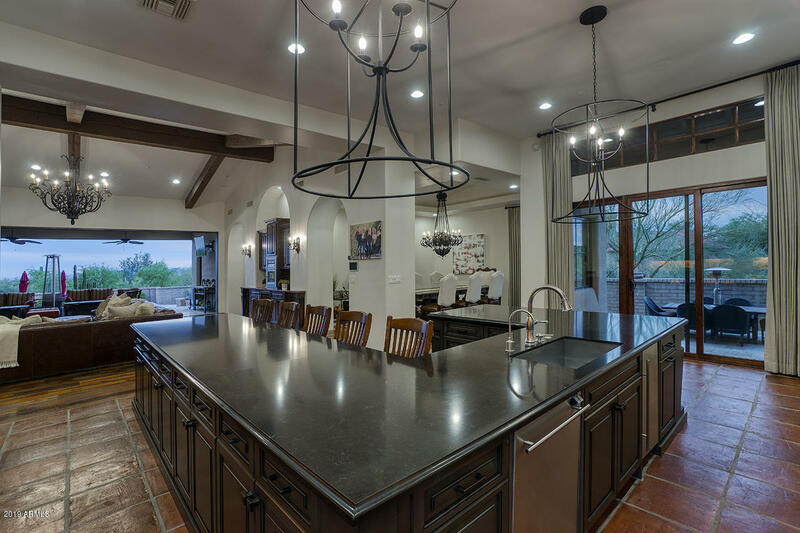 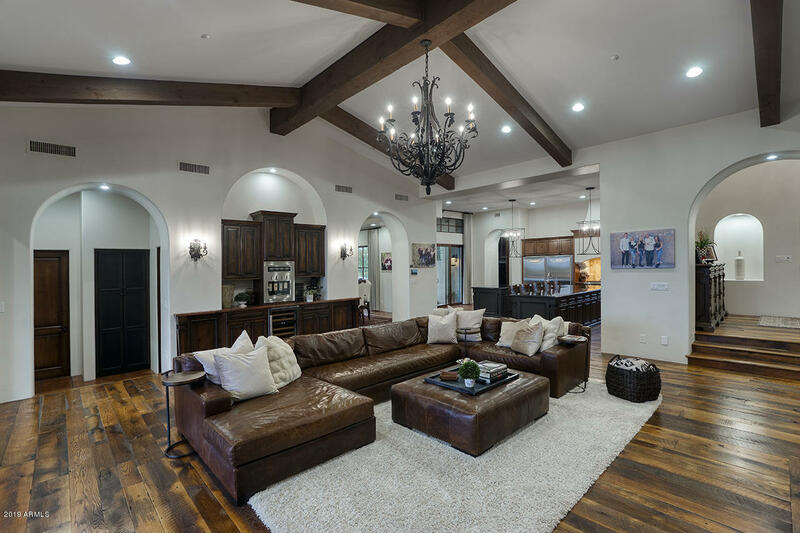 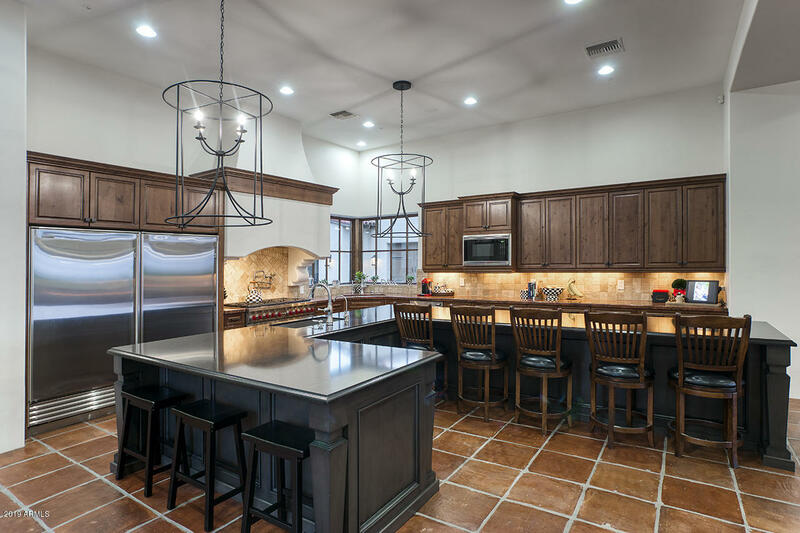 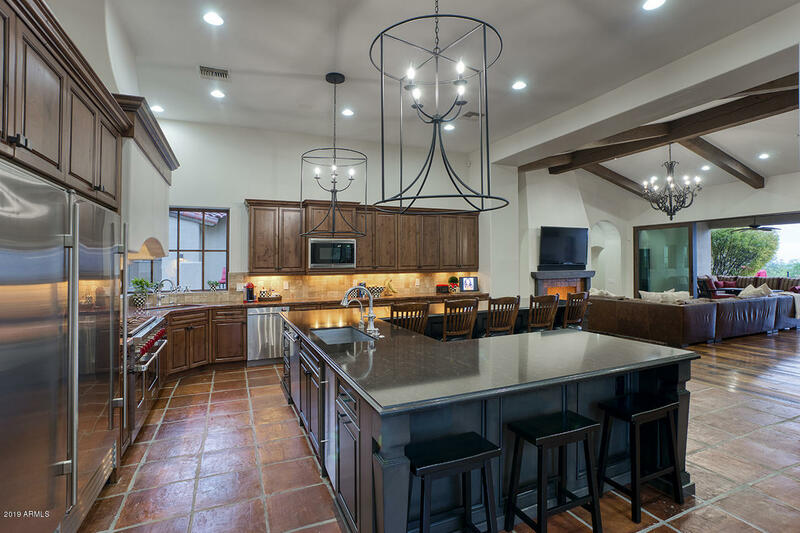 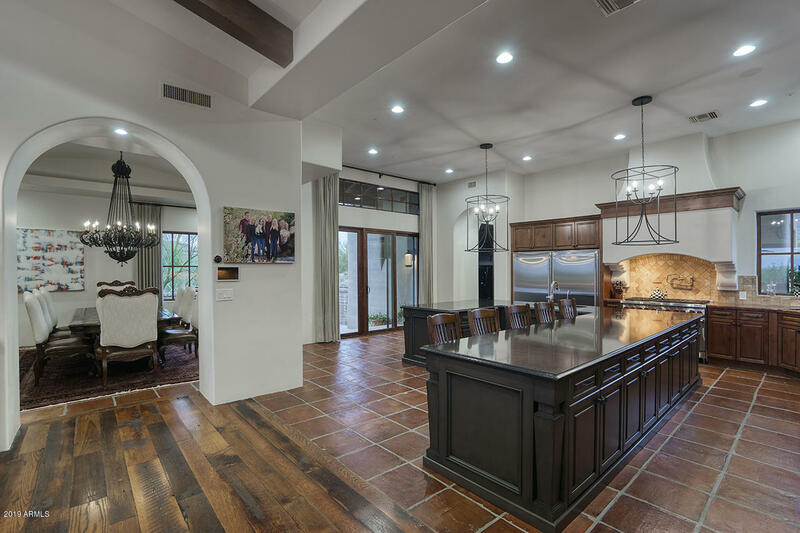 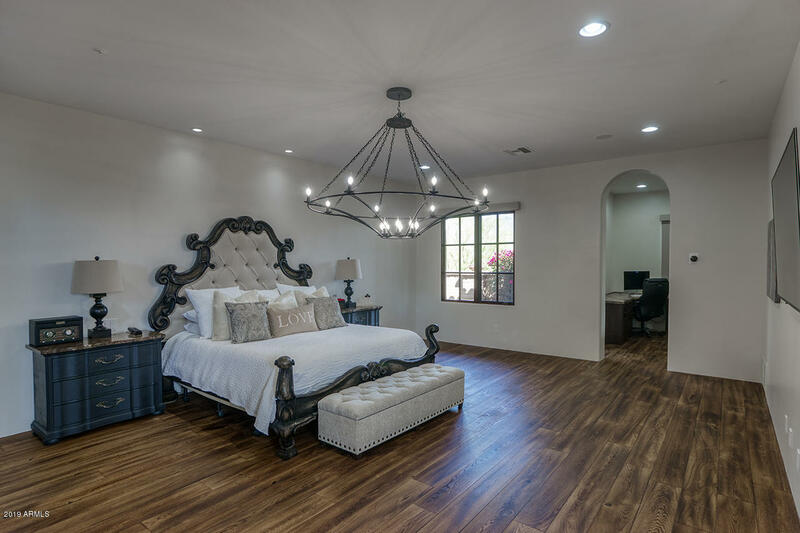 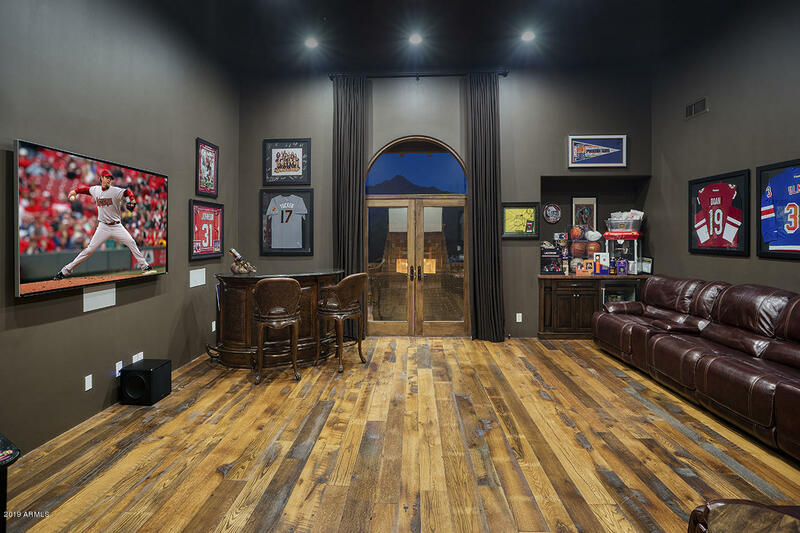 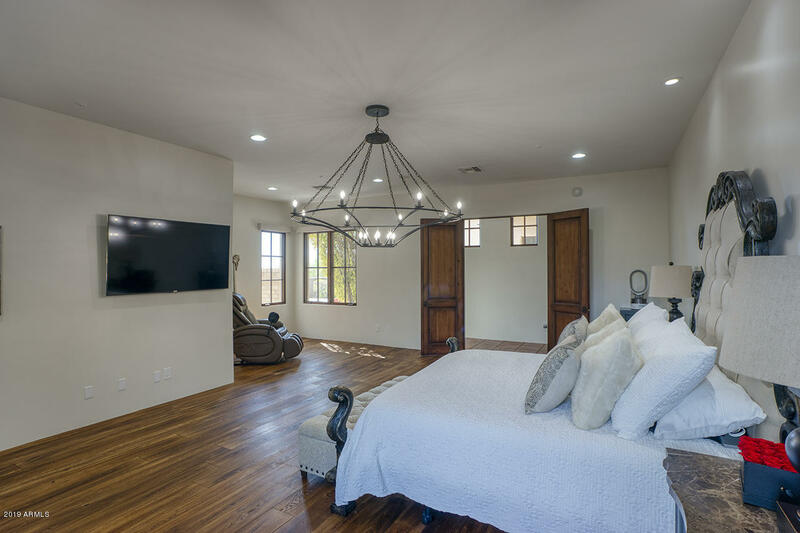 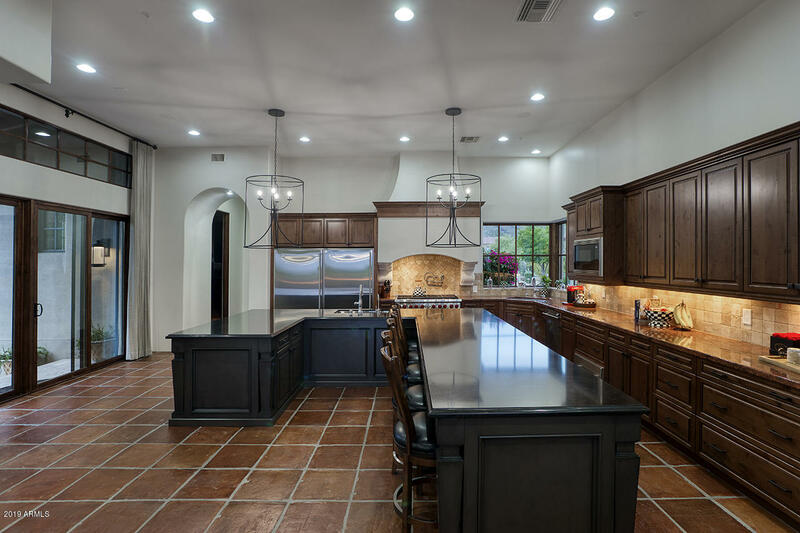 Refined finishes include reclaimed oak wide plank barnwood and timeless Saltillo flooring, vaulted beamed ceiling, sophisticated Dacor wine bar with 4 bottle wine dispenser, double sided fireplace, and Control 4 system. 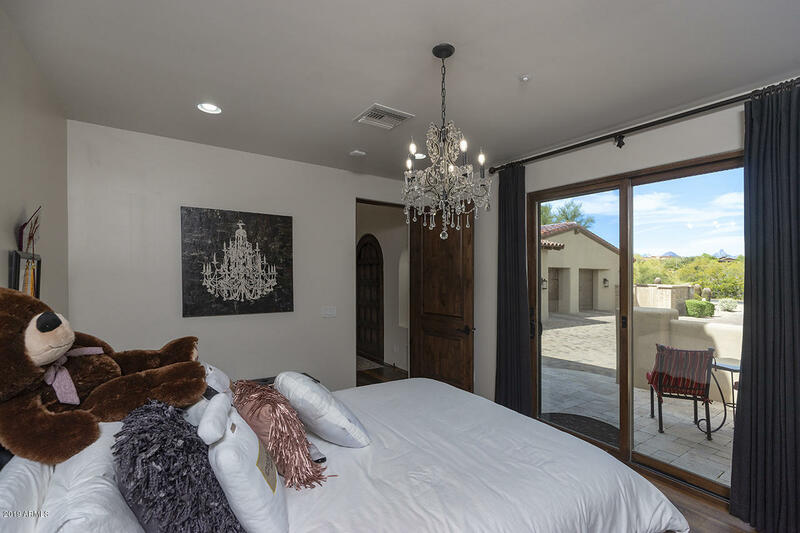 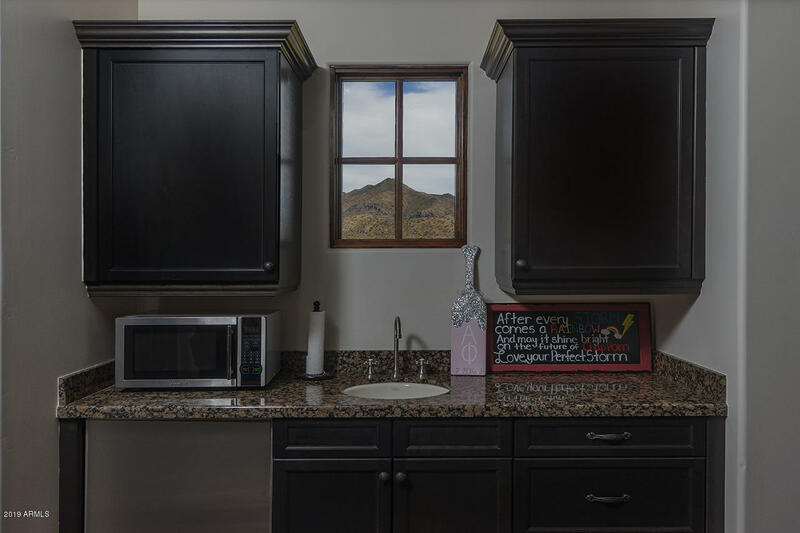 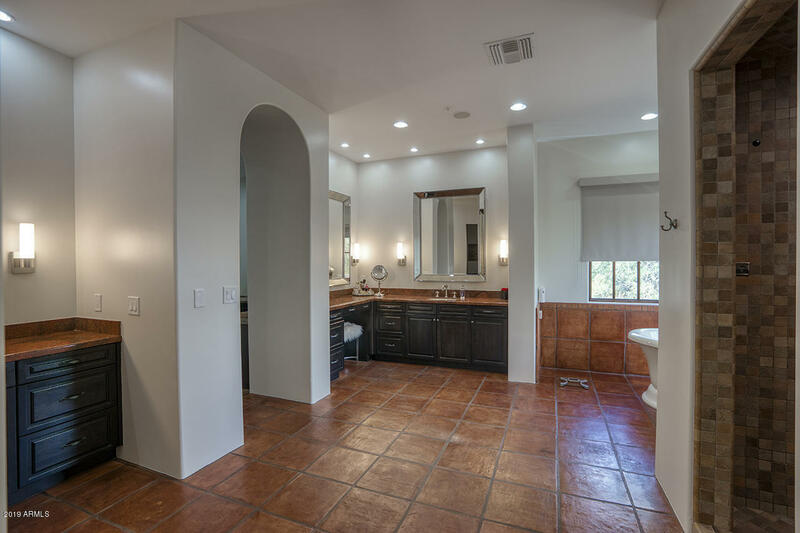 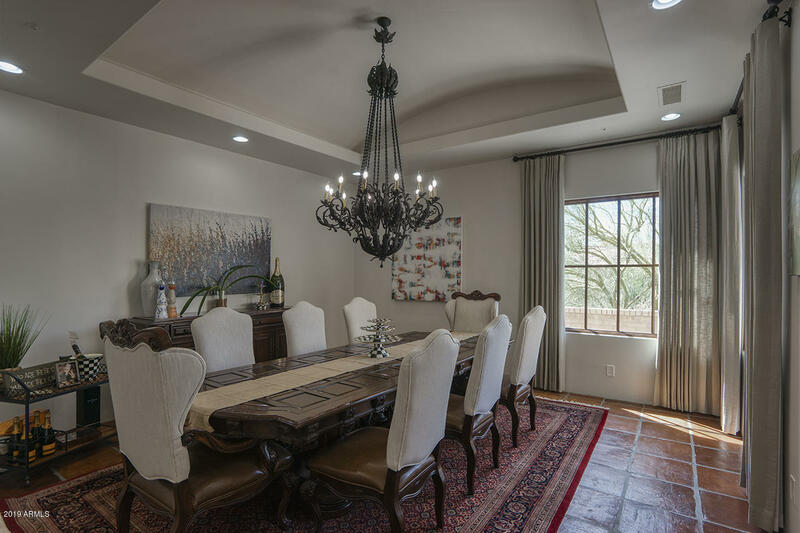 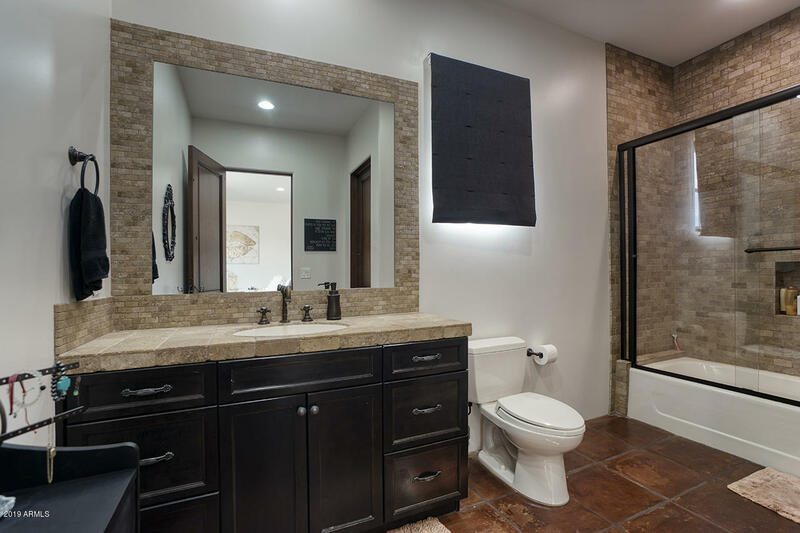 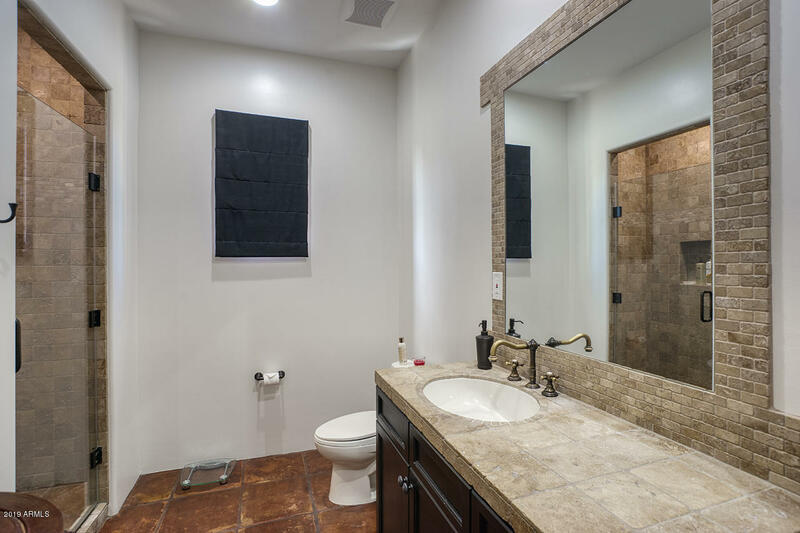 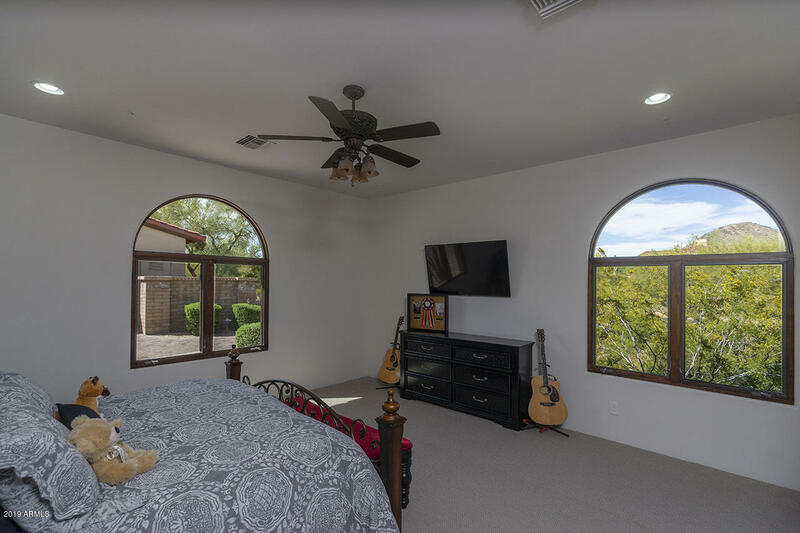 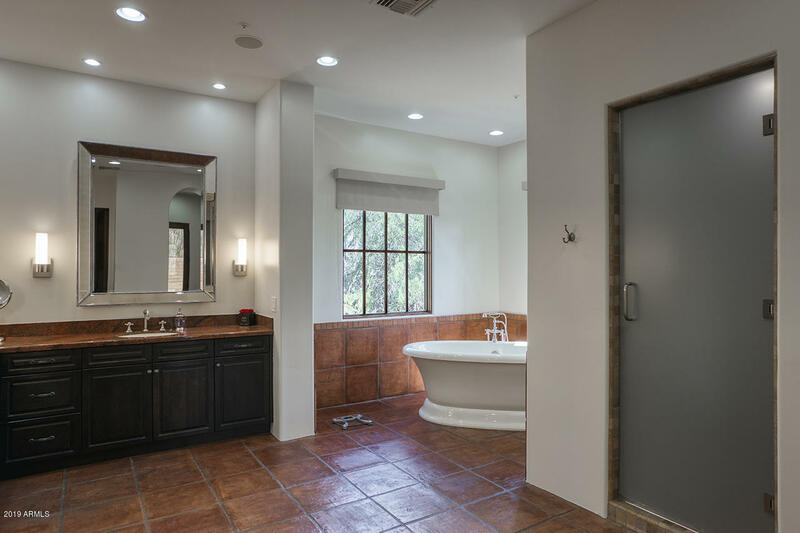 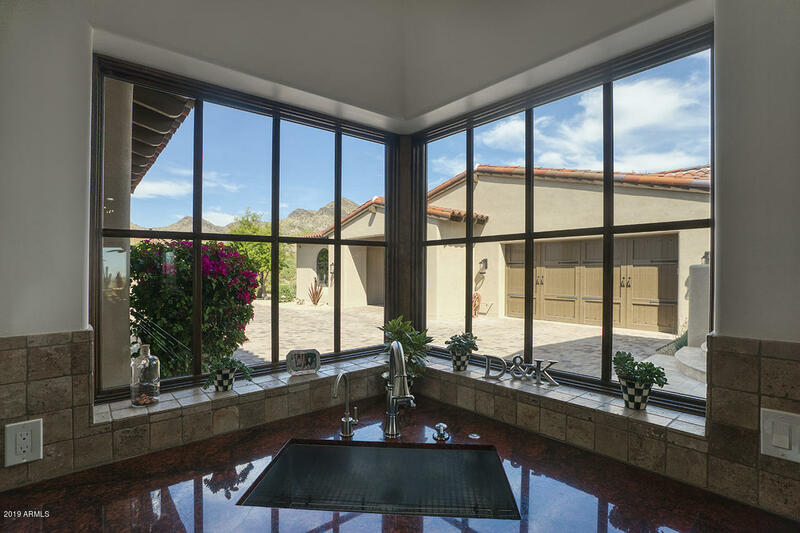 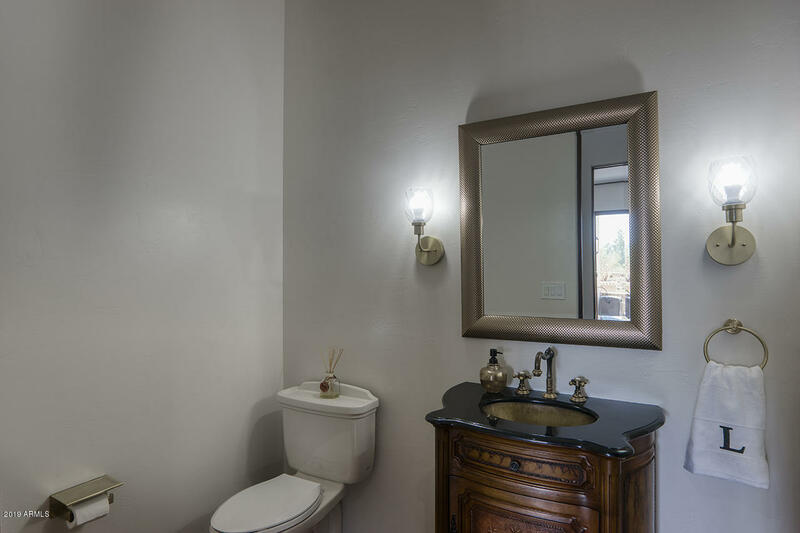 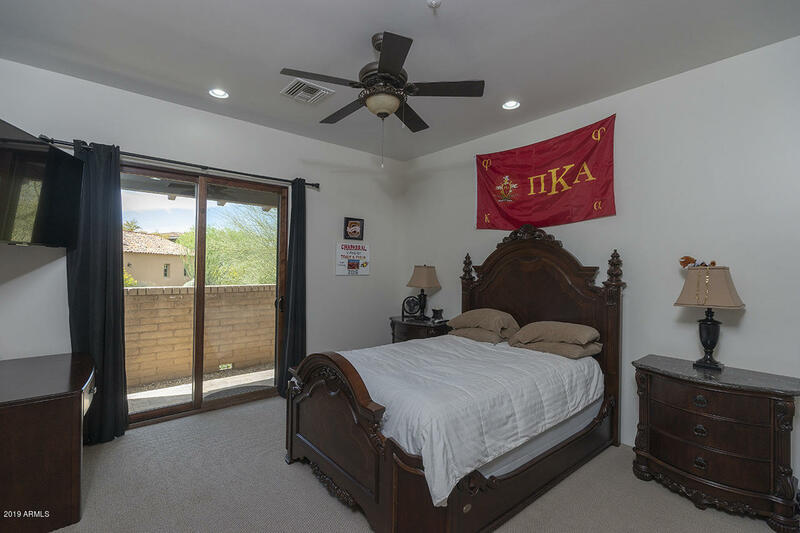 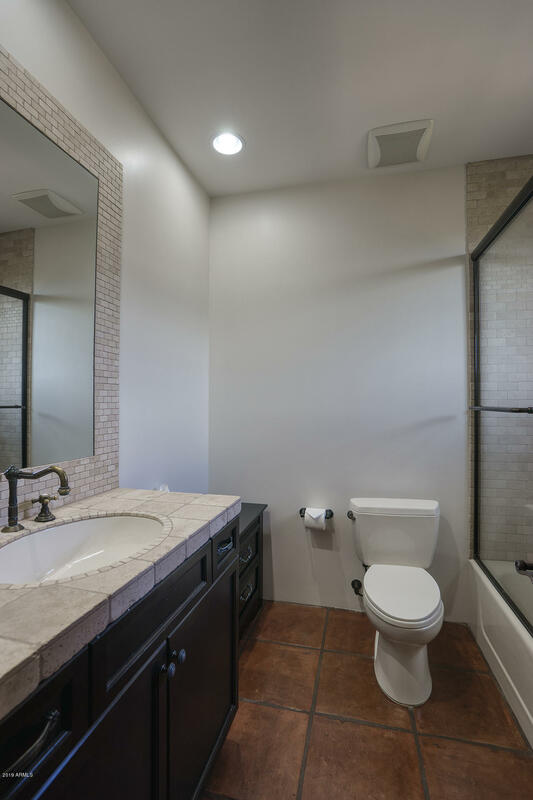 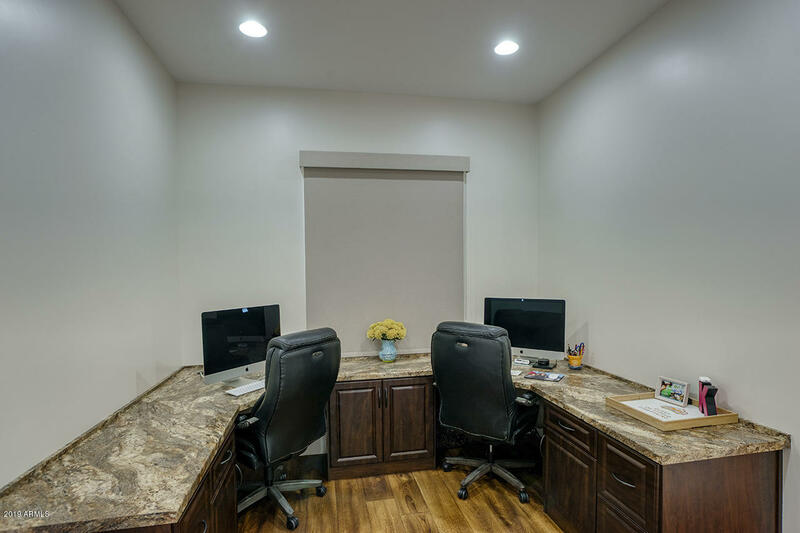 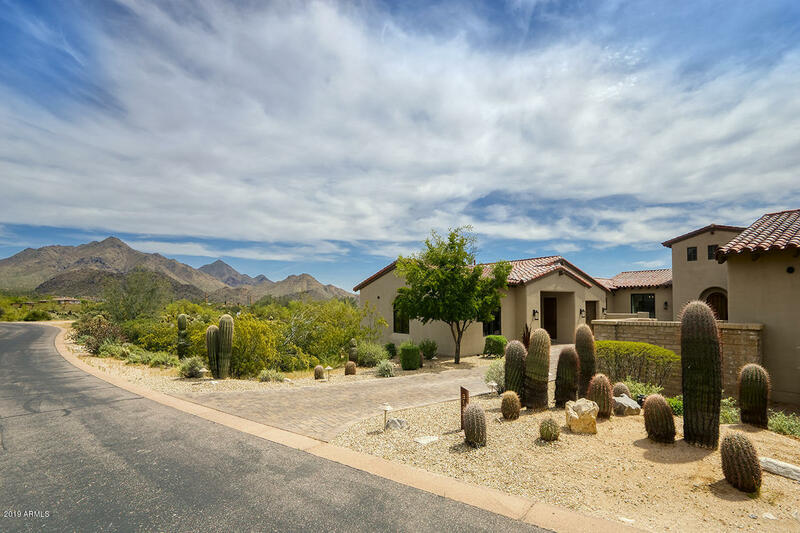 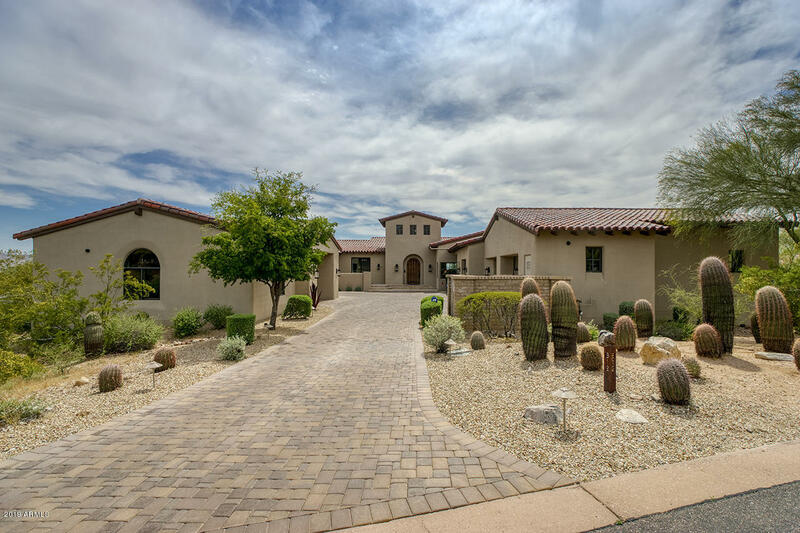 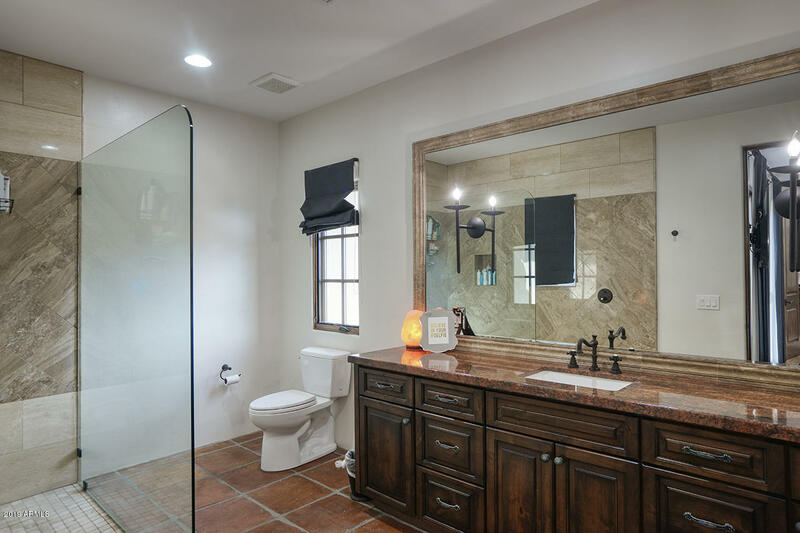 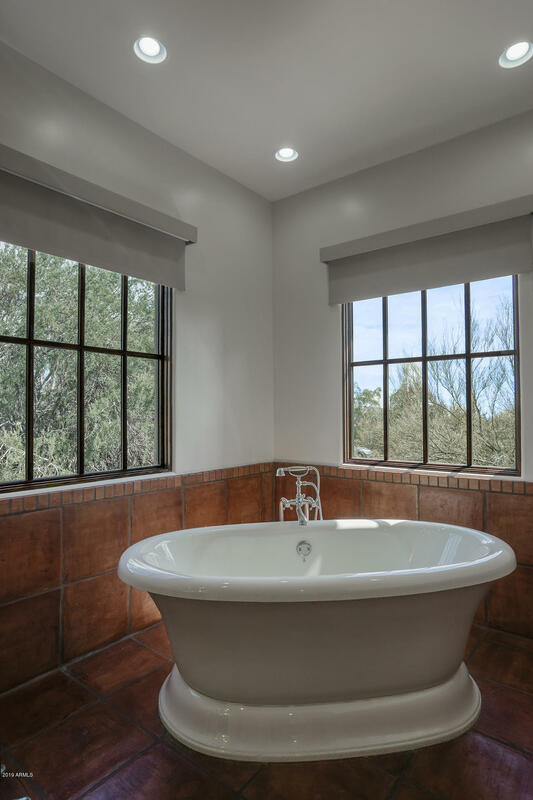 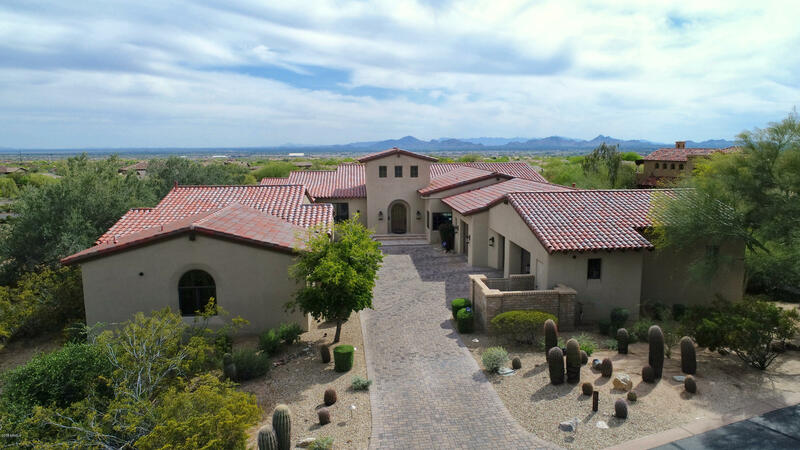 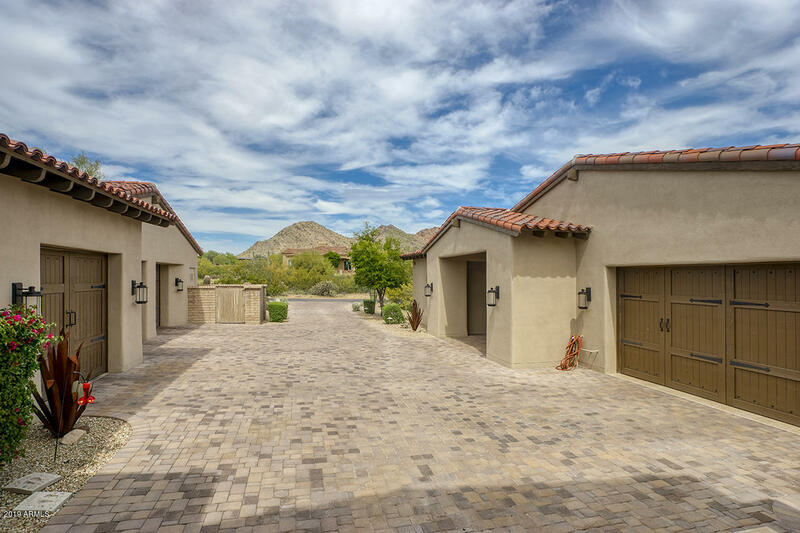 Private master retreat offers spacious sitting area, attached built-in double desk workstation, breakfast bar, and sizeable closet with luxurious free-standing jetted soaker tub, and relaxing steam shower. 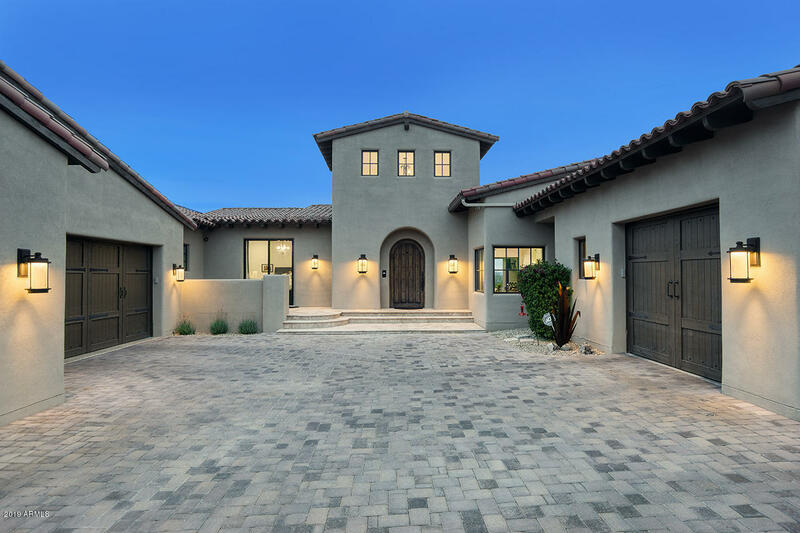 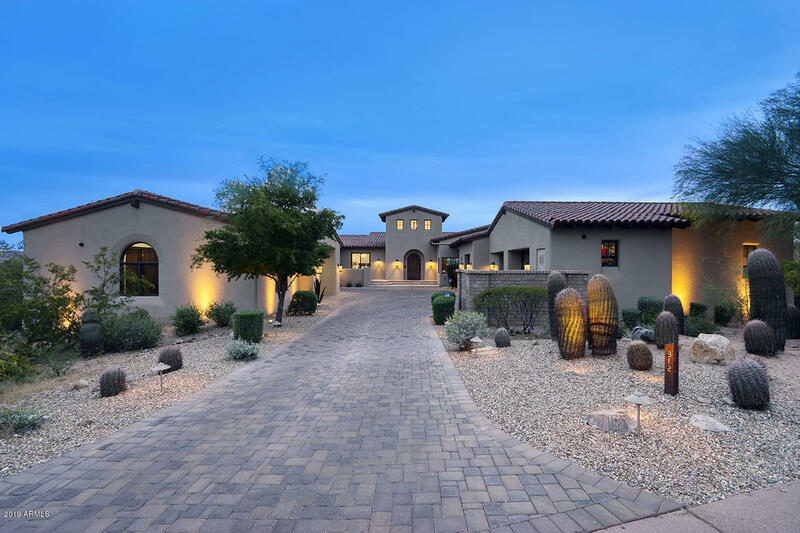 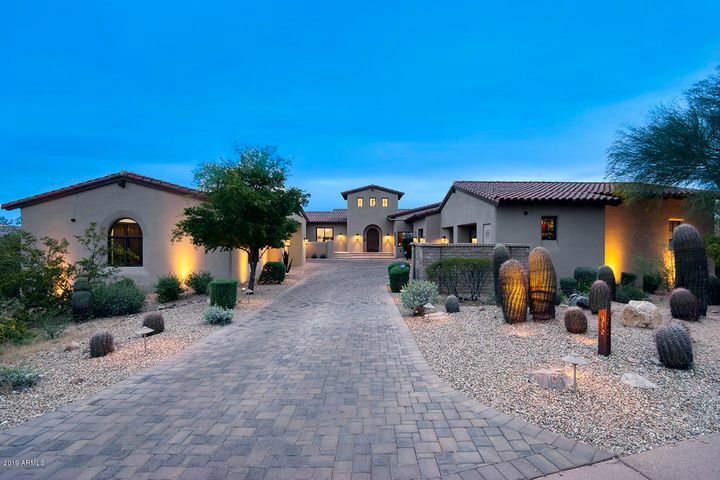 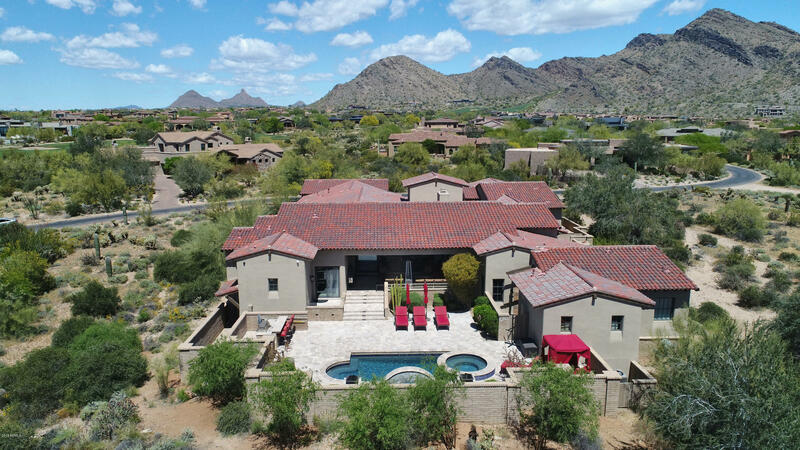 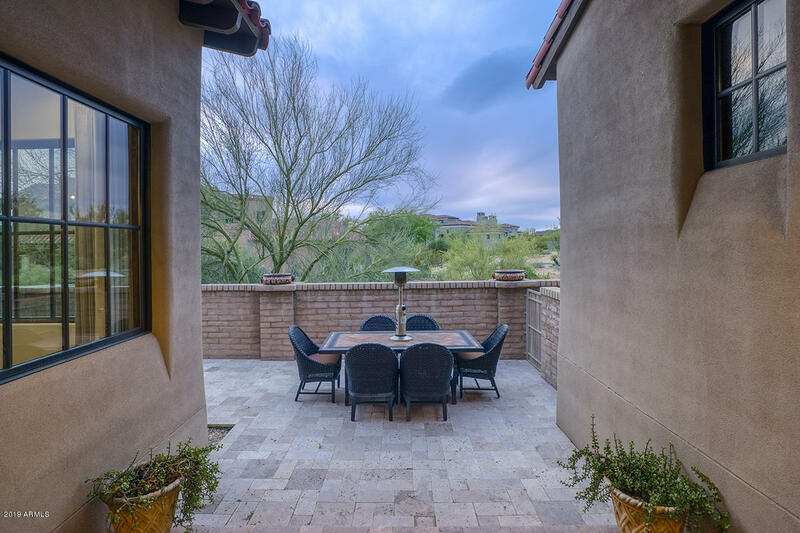 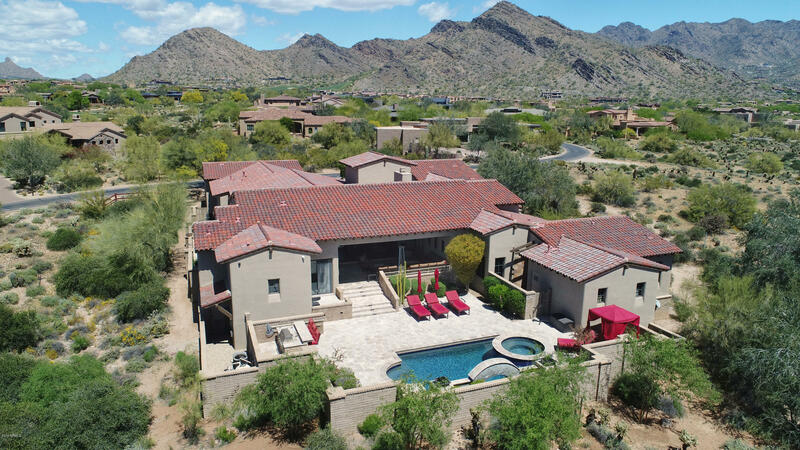 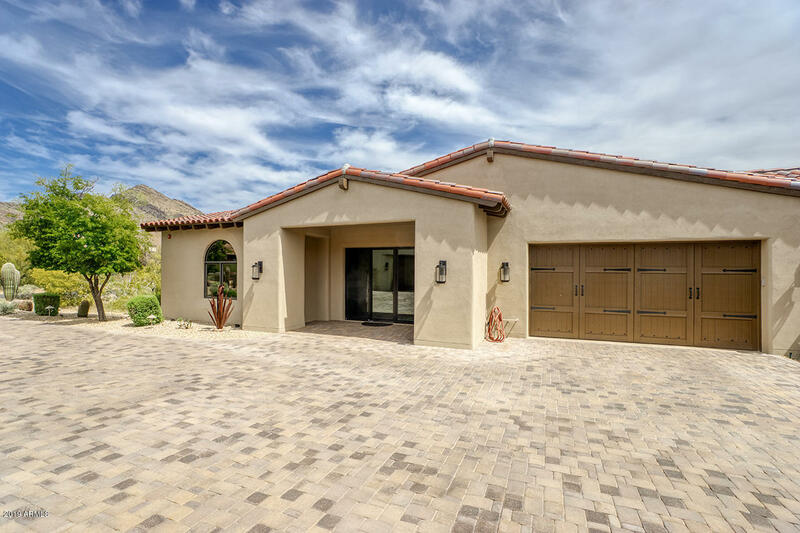 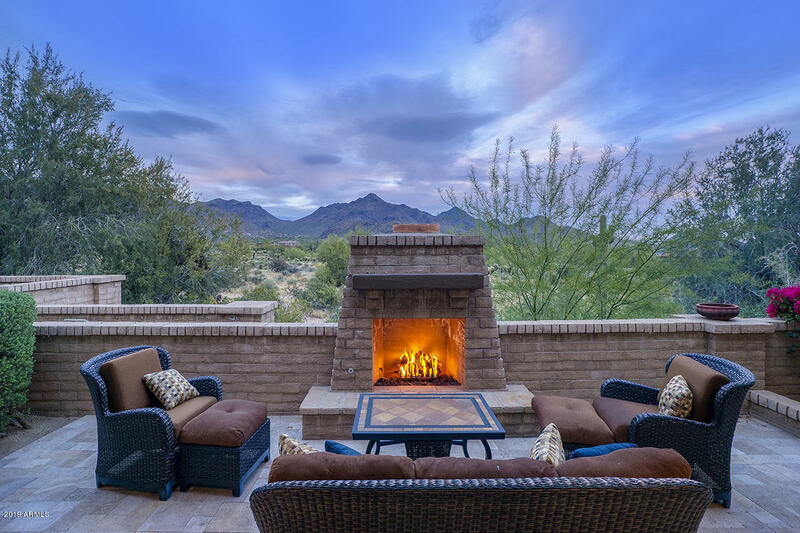 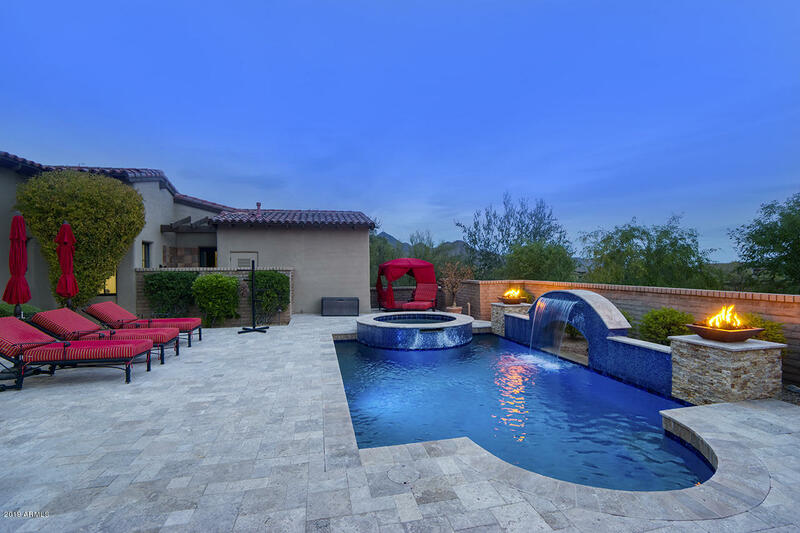 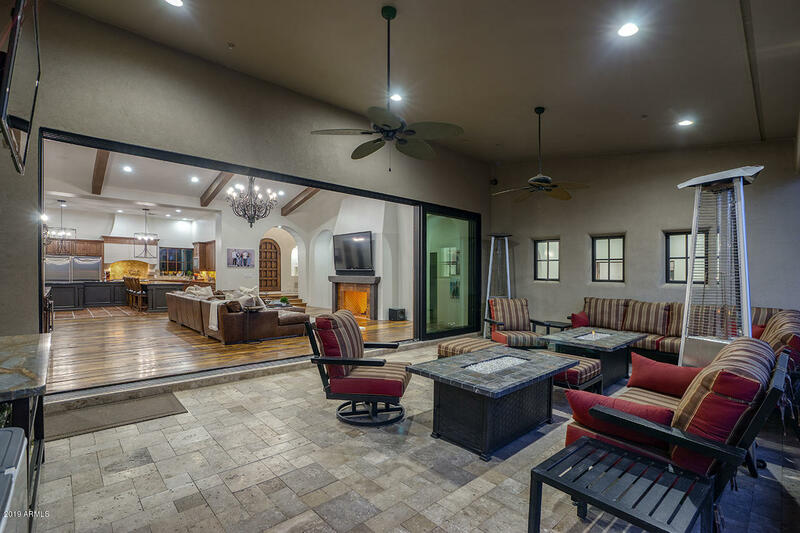 Resort style backyard features covered patio, glass tile accented pool, spa, chic water and fire features, plentiful hardscape for sitting areas, and bbq grill. 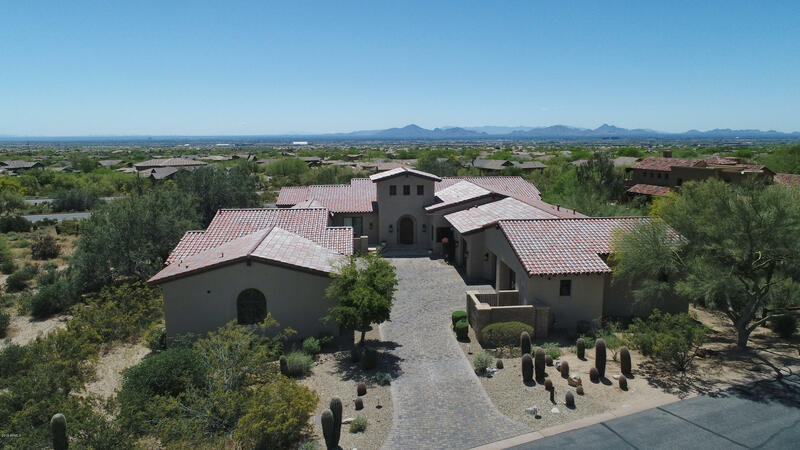 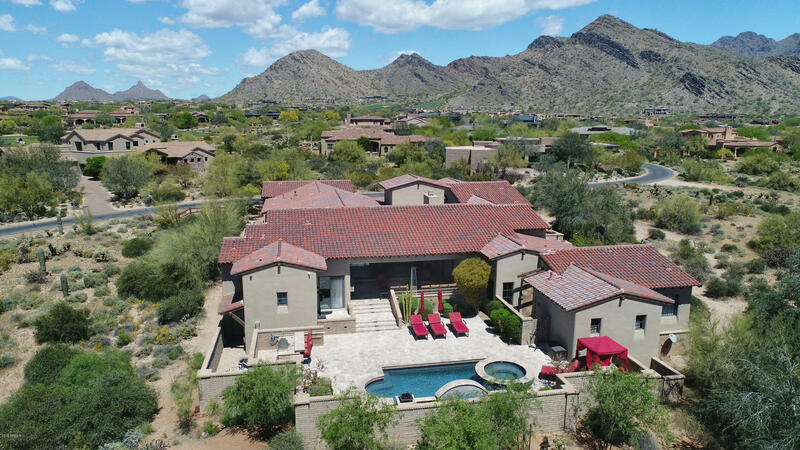 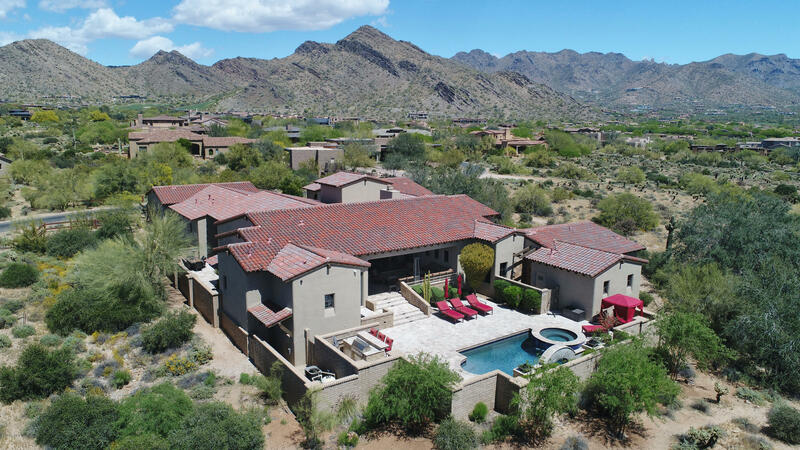 Luxurious Country Club living at its finest!